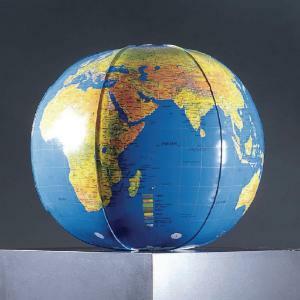 Inexpensive enough to provide the whole class with globes. There’s nothing more difficult than having students perform mapping exercises when there’s only one globe in the classroom. Now you can give each student or lab group a globe of their own to work with. They’re made of durable vinyl, are clearly labeled, and store easily between uses. Available in two sizes.